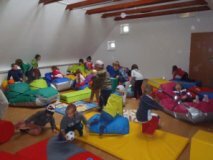 The summer kindergarten is open every day for 3 hours during the summer months. Your child will find new friends and try some ready made creative or learning activities and games. 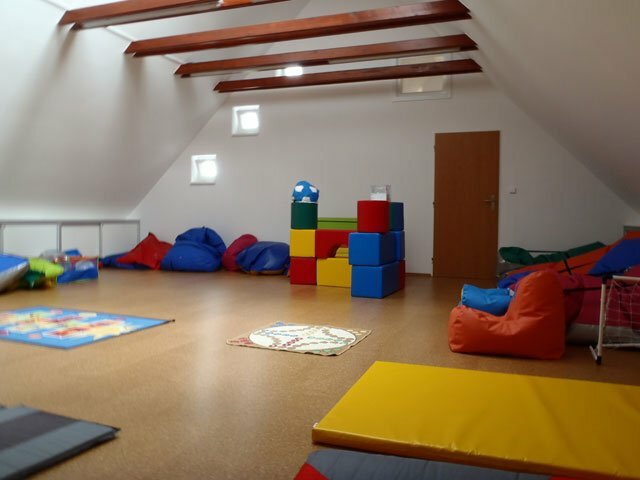 The kindergarten will be led under the guidance of experienced professionals. The capacity of the kindergarten is 15 children; book your place in time! How much does the kindergarten cost? 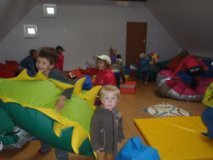 Playgroups for every little one cost 50 CZK/hour. If you choose to hire sports equipment from our rental service Alzarent, the kindergarten is for free. What can the kids look forward to? 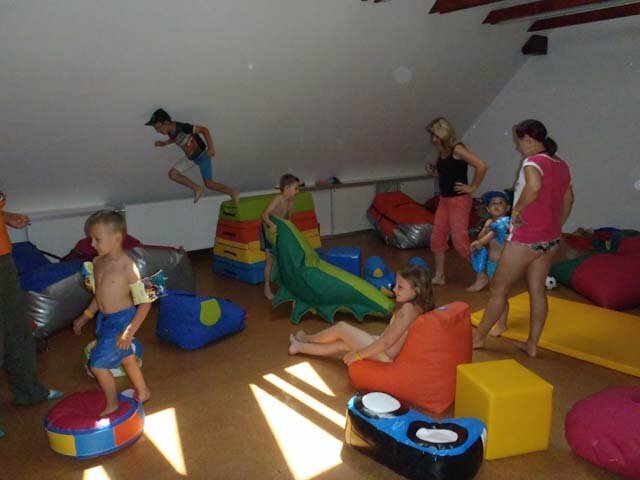 At the campsite you can also find a playroom – a magic room of 80m² that is filled with wonderfull toys. 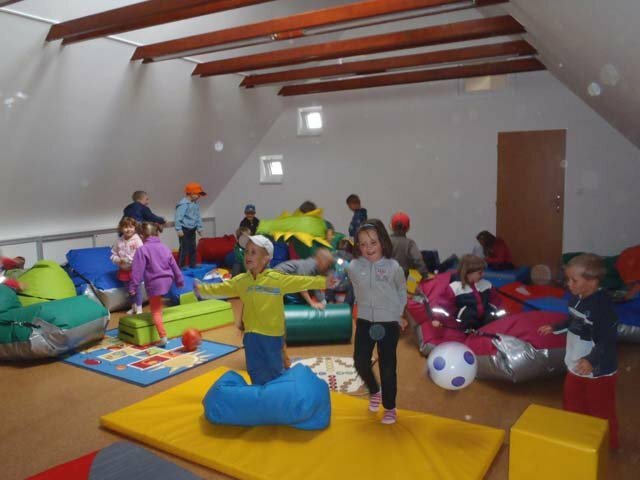 The playroom is useful especially in bad weather. 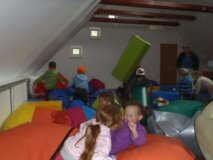 What can you find in the Playroom? 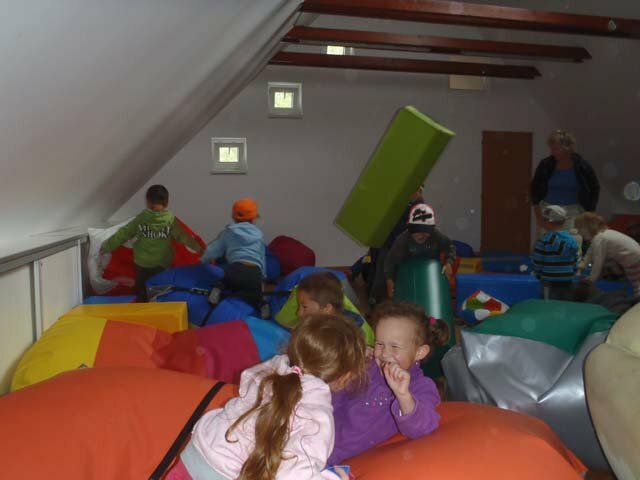 Only parents or professional pedagogues can accompany the children into the playroom. 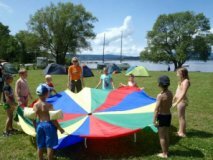 Children from the age of 3 can join the exercises. This programme includes exercises for health with elements from yoga and breathing exercises and improves the coordination of movements. In warm weather, the children can exercise barefoot and play collective games to promote the healthy development of the foot arch. The playgroup is suitable not only for future young athletes, but for everyone who wants to be able to walk properly and healthily. Active participation of mothers is welcome and it helps to strengthen the natural relationship to healthy exercising. The physical activities are prepared by a physiotherapist with professional experience.